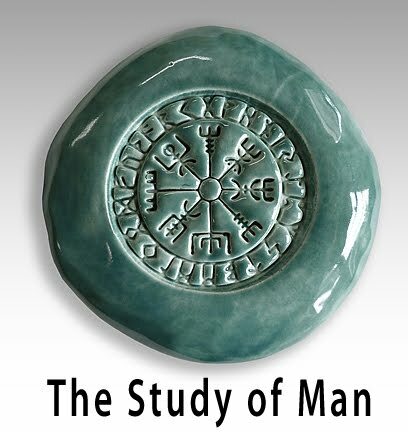 The project I have been working on for over a week has been successfully completed. 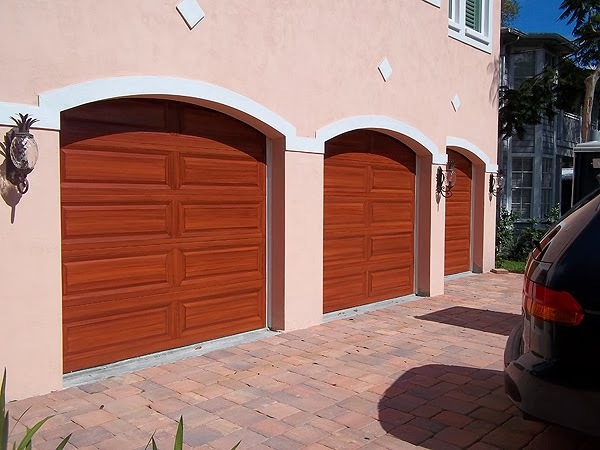 I painted a wood grain look on three single car garage doors in Tampa, FL. This particular job had some interesting challenges. The biggest of which is the curved top of the opening. The doors are not curved of course so what happens in these cases is the door's top panels go up behind the curved part of the openings and that means you cannot get to them when the door is closed. In the next picture you can see what I am talking about. (I have already primed and applied the base coat of paint on the door.) 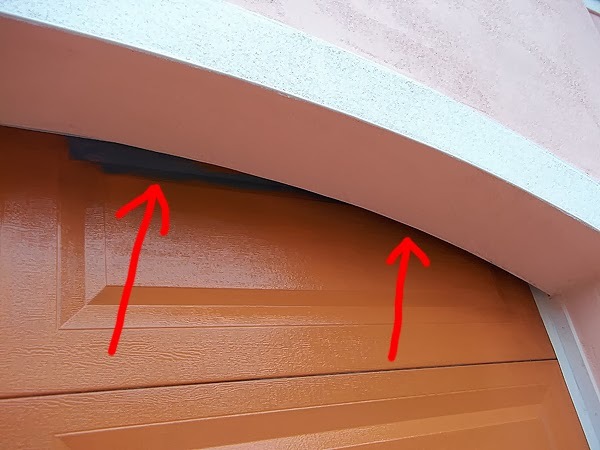 The clearance between the door and the curved part of the opening is less than 2 inches. 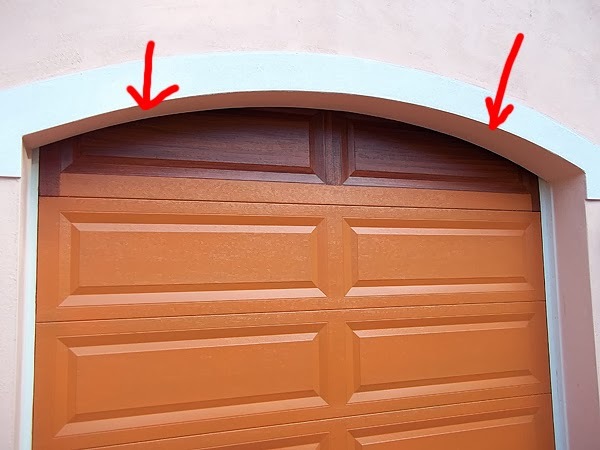 The only way to get access to that part of the door is to open the door all the way and paint it with the door open. You do that with a ladder. Problem on these doors is the clearance between the ceiling and doors was less than 12 inches. So as it turns out that was just barely enough room to reach in and paint with my special brush I have for such occasions. I have sawed off the handle on a brush and use that. I could not lean over the door however as there was not enough room so it was difficult to see how it was coming out. What I did was I painted on the door then closed it right away before it dried to see how it looked. I did that way in case it didn't look so great and I needed to rework it (which happened a few times). 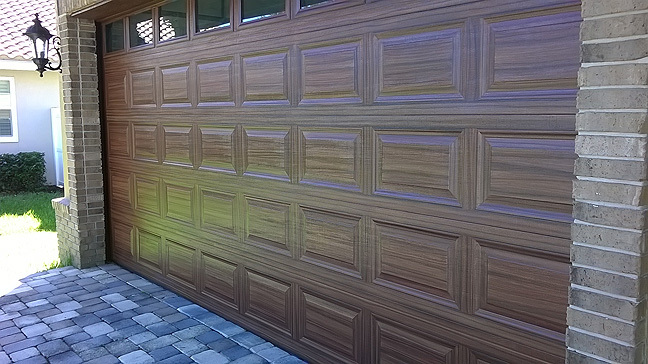 It took a long time to create the wood grain look on the top row of all three garage doors but in the end that part of the doors really came out looking great. These doors are 5 rows high so after I got the top row done I could start on the rest of the rows. While the rest of the eastern part of the country is literally freezing it's still warm and sunny here in Tampa Bay. 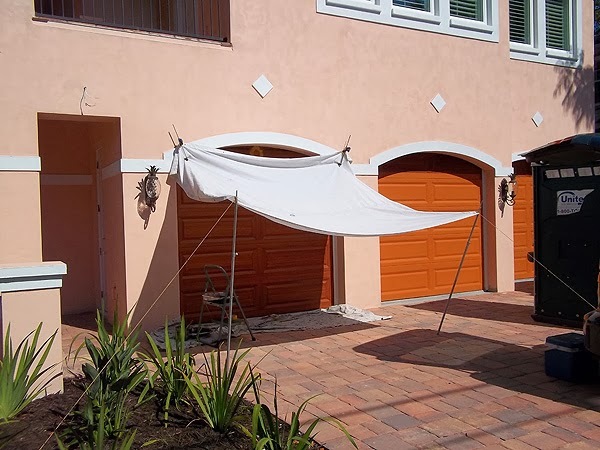 So that means I have to put up my sun shade while painting. If I don't the sun will dry the paint way to fast and not give me any time to manipulate the painting to create the wood grain effect. 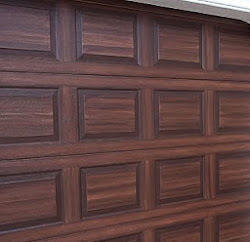 Here is a photo of the first garage door painted to look like wood completed. 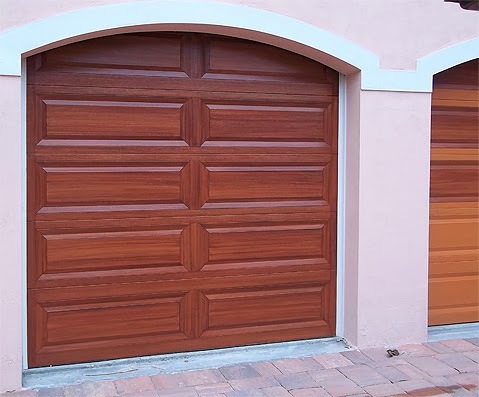 I am really happy with the way all the doors came out and so is the client. Did I say sunny? Part of the challenges of working outside is the weather. Here is a screen shot of the radar from one day this week. 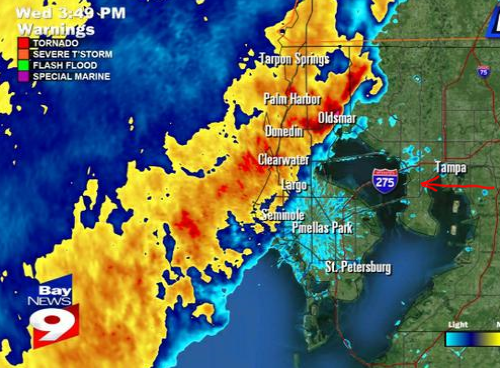 That storm system is moving from left to right and headed directly at the job site which is indicated by the red arrow below the word Tampa on the map. Smartphones are fantastic however and I was keeping an eye on the system as it moved in all day. I was able to get almost an entire day in on that day before the rain hit and luckily I had stopped with enough time for the paint to dry so it did not get washed off by the storm.